Why Are We Going to the Moon, Again? 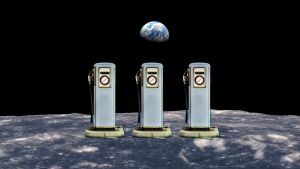 Oh Right, to Make It Into a "Gas Station for Outer Space"
A lunar layover could cut down on the fuel required to travel from Earth to Mars. Space travel is back on the United States’ radar in a big way, with the Trump Administration declaring in October 2017 that it wants the U.S. to be a leader in the space industry. This includes going to the Moon and being the first country to send astronauts to Mars. Speaking to CNBC’s Squawk Box about the country’s future commercial space projects, Commerce Secretary Wilbur Ross said our future successes largely depend on what we accomplish by going to the Moon, such as turning it into a refueling station by establishing a lunar colony. 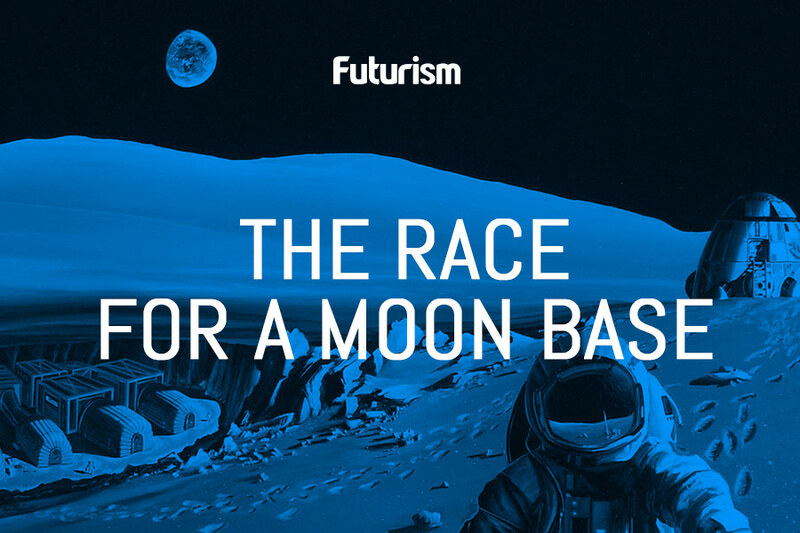 Ross foresees a scenario in which rockets are launched from Earth with the intent of going to the Moon first, rather than traveling directly to, say, Mars or deep space. Once at the Moon, the rocket would refuel and take off once again for another planet or asteroid. This subsequent launch would require less thrust since the Moon’s gravitational force is much lower than the Earth’s. Beyond turning the Moon into a pit stop, the Trump Administration’s plans for space also include turning the International Space Station over to private companies. The ISS requires billions of dollars to maintain, but if it’s no longer the responsibility of the U.S. government, that money could potentially be used to fund future space projects. That said, if private companies were to acquire the ISS and use it to launch their own rockets and satellites, Ross explains a set of “rules to the road” would need to be established. The newly revived National Space Council (NSC), of which Ross is a member, recently held it’s second public meeting in February to discuss several reforms, including better licensing for spacecraft, consolidating offices, and developing recommendations to control export. Currently, commercial spacecraft that land in another country is considered an export, and the fees associated with this policy have quickly become a big complaint from space companies. Guidance from the NSC is critical if the U.S. wants to ensure that organizations like NASA and companies like SpaceX can pave the way to the stars. Through the council, new policies can be put in place to guarantee they have everything they need.